1908 At Exposition Park, Pittsburgh blanks the Cardinals, 7-0. The last-place Redbirds are shut out for a record 33rd time, averaging more than one whitewash every five games. 1935 On the last day of the season, Pirates catcher Aubrey Epps goes 3-for-4, including a triple and three RBI’s, in his major league debut at Cincinnati’s Crosley Field. It will be the only game ‘Yo Yo’ will ever play in the big leauges. 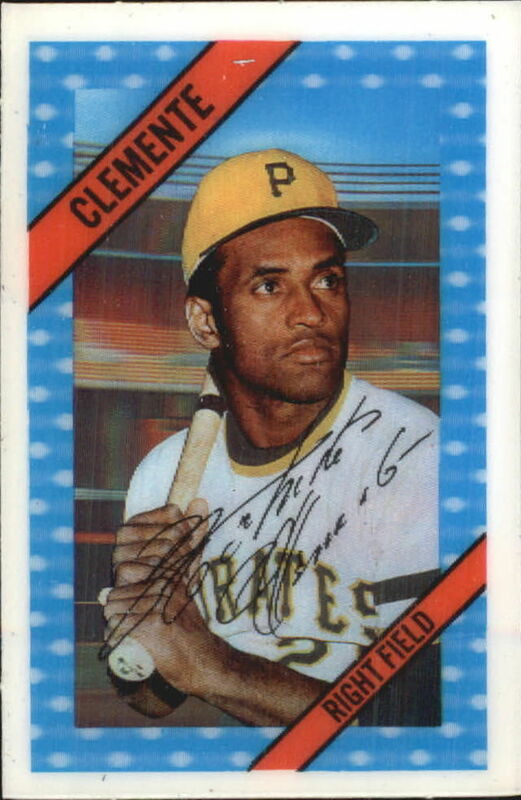 1972 At Three Rivers Stadium, Pirates outfielder Roberto Clemente doubles off Met Jon Matlack to become the 11th major leaguer to collect 3000 hits. The two-bagger, sadly, will be his last hit as he will die in a plane crash on New Year's Eve. 1978 At Three Rivers Stadium, the Phillies clinch their third consecutive NL East title defeating the Pirates, 10-8. The victory, which features winning pitcher Randy Lerch hitting two home runs, snaps Pittsburgh’s 24-game home winning streak. 1980 In front of only 1,754 patrons, Mets southpaw Pete Falcone beats the Pirates in the season's last game at Shea Stadium, 3-1. It is the smallest crowd ever to attend a game at the Flushing ballpark, 33 less fans than yesterday. 1988 At Wrigley Field, President Ronald Reagan throws out two first ceremonial first pitches prior to the Cubs' 10-9 loss to the Pirates. 'Dutch', a former play-by-play announcer, then participates in the broadcast with Harry Caray spending the first inning and a half in the WGN booth. 1990 The Pittsburgh Pirates clinch the National League East title. 1903 In the first World Series game ever played, Pirates' hurler Deacon Phillippe beats Cy Young and the Boston Pilgrims (Red Sox), 7-3 at the Huntington Avenue Grounds in Boston. Jimmy Sebring hit the first Fall Classic home run. 2000 A crowd of 55,351, the largest ever to see a regular season baseball game in Pittsburgh, watches the Pirates fall to the Chicago Cubs, 10-9, in the final game at Three Rivers Stadium. 2006 Joe Mauer becomes the first American League catcher to win a batting title and to lead the majors in hitting. The Twins backstop's .347 batting average outpaces Freddie Sanchez (.344) of the Pirates. 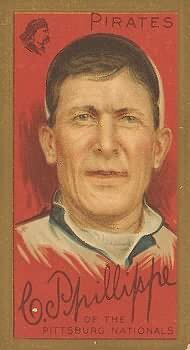 1920 In the only tripleheader ever played in the 20th century, the Reds win the first two games, 13-4 and 7-3, with the Pirates avoiding the sweep in the finale, 6-0. 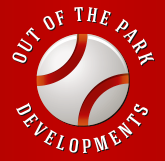 Peter Harrison is the home plate umpire for all three games. 1969 In the eighth inning of the Reds' 8-3 win at Atlanta Stadium, Pete Rose beats out a bunt to third base for a hit in his last at-bat of the season to clinch the National League batting title. At the start of day, the Cincinnati right fielder is tied with Pirates outfielder Roberto Clemente, who goes 3-for-4 against Montreal but finishes .005 of a point behind (.3447 to 3452) the eventual all-time hits leader. 1985 The Galbreath family and Warner Communications sell the Pirates to the Pittsburgh Associates which is a group of private investors committed to keeping the team in Pittsburgh. 1972 Surpassing Honus Wagner, Roberto Clemente appears in his 2,433rd game for the most ever played by a Pirate. Sadly, it will be the last regular season game the Pittsburgh outfielder will ever play as he will be killed in a plane crash during the off-season. 2010 With their 5-2 loss in Miami, the Pirates finish the season with a 17-64 record on the road. The Bucs' dismal away-from-home performance equals the 1963 Mets infamous mark for a 162-game season. 1925 For the first time in the 50-year history of the franchise, the Cubs end the season in last place. The team, managed by Bill Killefer (33-42), Rabbit Maranville (23-30), and George Gibson (12-14), compiles a 68-86 record and finishes 27.5 games behind the first-place Pirates. Both Maranville and Gibson formerly played for the Pirates. 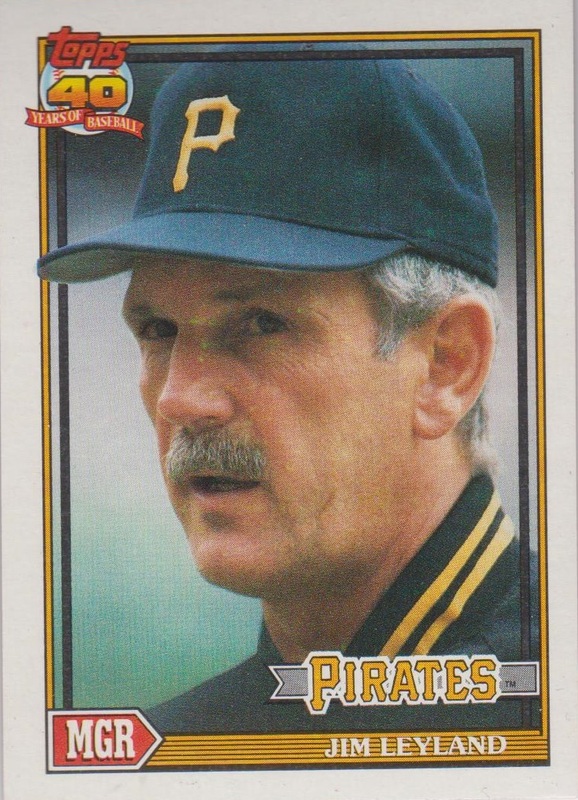 2005 Two-time National League Manager of the Year (1990 and 1992 Pirates) Jim Leyland is named to replace Alan Trammell, who was fired as the Tigers’ manager yesterday. The sixty-year old, who guided the Marlins to a World Championship in 1997, has not managed since resigning as the Rockies skipper in 1999. 2010 A day after the season ends, the last place Pirates fire John Russell, who equaled a franchise record for most losses by a manager in three seasons compiling an 186-299 record. The other Buc skipper with as many defeats in the same time frame was Fred Haney, posting a 163-299 record from 1953-55.